Toby Klein is an agent with the CIA. Toby Klein is a cheerleader at Bayport High. If you had mentioned to her either one of those two facts a day before they came to pass, she would either have laughed you out of the room or, if in a really bad mood, likely caused by being annoyed by her younger brother, she might have kicked you out. Being a third-degree blackbelt (probably karate since her mother is an instructor in that discipline) she could do it without much trouble. Klein has been for some time a bit of a trouble-maker, at least in the eyes of the various school authorities she had dealt with in the different cities she has lived. Her father is a physicist recently transfered to the city of Bayport so she and her two-year-younger brother went with them. One other important thing Klein is, and the reason she got noticed and dragged into the cheerleading squad, is a computer hacker. She loved to snoop and more to the point she loved to overcome an obstacle. Firewalls were the challenge she has been needing and she went after more than a few in the three-to-four years before her involvement with The Squad. It was the breaking into the Pentagon at age 13 that got her noticed by the Big Guys Upstairs (BGU). The BGU is the term used repeatedly by the officials at the CIA who a few decades ago created the concept of the Squads. In various towns around the country they put together teams of teenage girls with exceptional aptitudes, trained them in the art of spycraft, outfitted them, and sent them into the field for short missions since they had to get back in time for sporting events and pep rallys. The idea seemed simple enough. The girls were darn good at their individual specialties and terrific as a team. They were smart and resourceful and given the utmost in backup support and equipment. Best of all, they were cheerleaders. Cheerleaders are worshipped by teenage boys, adored by school faculty and the PTA, and totally discounted as a threat by, well, everyone else. Pretty and perky seemed to equate to shallow and stupid in a lot of people's minds and so the members of the various Squads accomplished a lot over the years. New regimes in high offices in recent years have caused the program to be downsized significantly with all of the other locales being phased out. Only Bayport High remains and that Squad was down a couple of members due to graduation. Which is why the BGU got her father transferred and Klein, the antithesis of cheerleading cool, "invited" to join. 5'3" weighing 103 lbs, Klein has brown hair, brown eyes, and a medium skin tone. That tone gets changed by her fellow cheerleaders to be far more tanned than she would want but she has to fit in with the rest of them so she reluctantly agrees. She also balks at make-up, short skirts, gel bras (?) and a myriad of other things that her fellow cheerleaders do to maintain the airy, ditsy image. Mostly she balks at glitter (it gets into everywhere). She does not balk, though, in the assignments. Those are scary, dangerous, thrilling, and fun. Toby Klein is the new kid in school which would be a naturally uneasy proposition but since Klein does not play well with others, it is even worse. Then she is offered a job that she cannot believe exists and now not playing nice is no longer a problem. To Toby Klein being on the cheerleading squad is as unnatural as it gets but then the other things she is learning to do as her new job as government operative is even stranger. 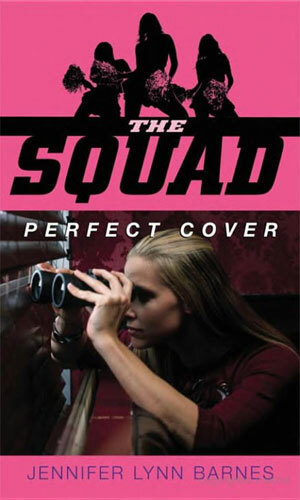 Something big is about to happen in Bayport and her job as part of the Squad is to learn what it is. I mentioned to my wife back when I read and added the Cammie Morgan series to the compendium that it felt just a tad (okay, a lot) weird that a man my age was reading a young-adult female series about high school girls. Reading and actually enjoying the books. Not right, I said. Now I step a bit more into the uneasy feeling with the agents not only being young women but also cheerleaders! That is so not right. But I read 'em so I can write about 'em. That is why I read the first book. In a 2-book series, that means 50% and that is enough for me to stop and make my entry and go on to other, more 'manly' books. But no! I had to open up the second adventure. And that got me reading about Toby Klein possibly in the running for Homecoming Queen (or at least Princess) all the while following and spying on some dicey newcomers to the city the BGU are wary of. 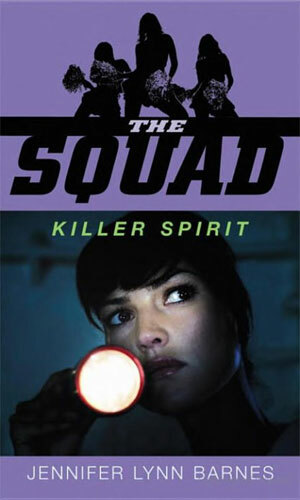 These are light, fun books mixing teenage girl problems like teachers and boys and brothers and other girls and such with guns and knives and listening devices and breaking into and later out of a high-security facility. Is it wrong to say I enjoyed them? No, it is not. It is a tad creepy for someone my age, though.